Dallas Cowboys star running back Ezekiel Elliott will be suspended for six games this season for violating the league’s Personal Conduct Policy. The fate of Dallas Cowboys star running back Ezekiel Elliott is no longer up in the air. 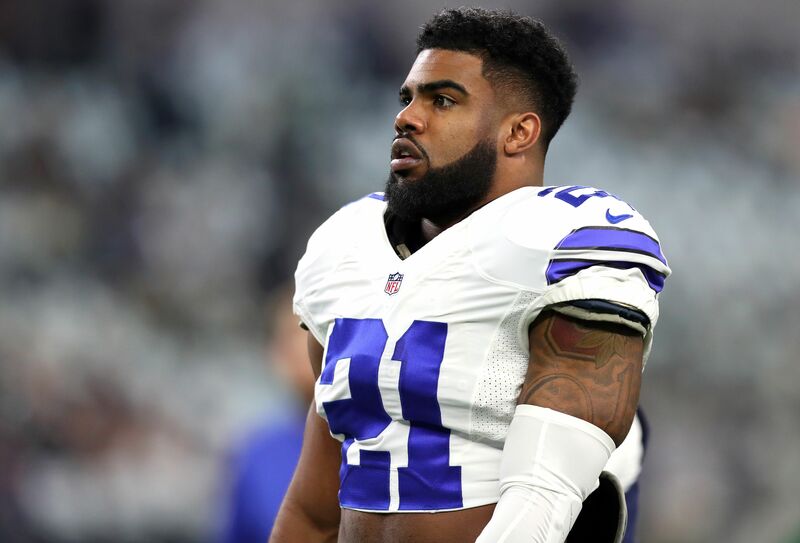 On Friday, Adam Schefter reported that Elliott will be suspended for six games without pay this season. Presumably Elliott will appeal, as tends to be the standard protocol. Elliott has three days to appeal the decision. The accusations date back to July 2016, the summer before his rookie season with the Cowboys. Cowboys owner Jerry Jones suggested during the Hall of Fame game that incidents outside of the domestic violence claim could be considered when a punishment was decided. Elliott pulled down a woman’s top during a St. Patrick’s Day parade and punched a man at a club in Dallas. The NFL’s official statement does not mention anything outside of the July 2016 incident, and noted the advisors met on June 26. The loss of Elliott will put a strain on the Cowboys already frail hopes of winning the NFC East this season. The Cowboys defense is suspect and saw several big names leave during free agency, and the run game has been a vital piece of the Cowboys strategy. Their ability to wind the clock down allowed their defense to stay fresh on the sidelines. It also alleviated pressure off of quarterback Dak Prescott during their rookie season, filling in for the injured Tony Romo, a Cowboys all-time great and potential Ring of Honor candidate. The Cowboys likely feel confident in their back ups, even if they need to take a “by committee” approach. Former Raider Darren McFadden and former Redskin Alfred Morris are both behind Elliott on the depth chart. McFadden has two 1,000 yard seasons to his name, including one campaign with the Cowboys in 2015. Morris topped 1,000 yards three times with the Redskins including a 1,600 yard season as a rookie. Ronnie Hillman has also proven to be a capable running back, rushing for 863 yards with the Denver Broncos in 2015. The Cowboys open the regular season with games against the New York Giants, Denver Broncos, Arizona Cardinals, Los Angeles Rams, Green Bay Packers and San Francisco 49ers. The Giants, Packers and Cardinals all finished in the top-10 for rushing yards allowed per game in 2016. The 49ers were dead last in this category, Denver finished 28th and Los Angeles was in the middle of the field.